…it’s time to catch up on all my THANK YOU! ‘s to a few generous & wonderful bloggers who have been kind enough to nominate my blog for some sweet awards. First, I would like to thank an inspiring gypsy-brethren duo over at Live. Explore. Learn. Remember. 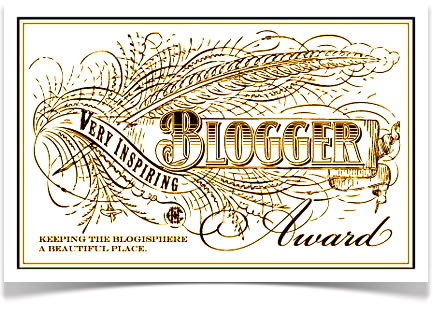 for nominating me for the Very Inspiring Blogger Award. Next, I’d like to thank an insightful & encouraging blogger over at The Groovy Gazette for nominating me for the Thought-Provoking Blog Award. Next, I’d like to thank Anna, a really creative blogger over at Discoveries in a Letterbox for nominating me for The Sunshine Award. So, for these 3 awards, I must nominate other bloggers as well. Each award has a number of nominees I’m supposed to select, but guess what? I’m nominating all my Followers who Comment on this post. Personally, I think I have the most wonderful followers. I very much appreciate the time you take out of busy schedules to read & share your viewpoints on my posts. And I look forward to your comments because I love how each of you expands my mind – from expounding upon or challenging my viewpoints, to making me laugh right out loud with your own brand of humor. You are insightful, inspiring, honest, intelligent, humorous, engaging & talented bloggers in your own right – each of whom I believe deserve these 3 awards. So, I offer a heart-felt THANK YOU! and CONGRATS! to all my Very Inspiring, Thought-Provoking, Sunshine-y followers! 1. Create a post on your blog announcing your acceptance of the award(s). Within this post, thank & provide a link back to the blog of the person who nominated you for the award(s). 2. If you so choose, list 7 things about yourself that are inspiring, thought-provoking, or sunshiny. Or a combo of all three! 3. Nominate 7 other bloggers for the award(s). This entry was posted in Random Topic Tuesday and tagged awards, blog awards, blogging, blogs, random topic tuesday, sylver blaque by Sylver Blaque. Bookmark the permalink. As always, you are a delight, Silver. Glad you are back from your travels. I continue to look forward to your blogs. All the awards are well deserved! Big Congrats!! Congrats!!! I can see that the recognition is WELL deserved!!! Thank you for your kind comments re: A Second Cup. You are, without question a favorite with me, and I always come away, happily thinking. Unfortunately, I had a computer security breech not to long, ago, and had to begin, again with the Groovy Gazette. Thank you, again. Welcome home, and congratulations. Left click on ‘Dave’ in green on the comment, and you will arrive at the Groovy Gazette. Wow, look at that–you go away for a while and come back to all these awards! That’s like excusing yourself to the bathroom at a restaurant and coming back to see the food has been served 🙂 Congrats! Ah – you took the easy way out. I need to respond to a summerful of awards and I may just copycat you! Glad you’re back – and congrats! I just adore you and I’m so glad you are back- I have missed you so. We HAVE to catch up! I need you on my team against Heineken! I will accept- thank you!! !